The most difficult part of sewing a sweater is probably the neckline. Not only is it challenging to get the band to lie flat (who wants a floppy neckband? ), but it’s also the area that people see first since it’s near the face and frames the neck. To make things more complicated, it’s often hard to find ribs that match and are suitable for creating a professional looking neckband. A complimentary fabric can always be used, as with the sweater pictured above. One of my favorite tricks when I don’t have matching ribbing is to use the opposite side of the self fabric as trim (self fabric = same fabric as used in the main part of the garment). Sometimes, if the sweater fabric is ribbed, I’ll rotate the self fabric by 90° for a different look, as I did with the Westerly sweater below. 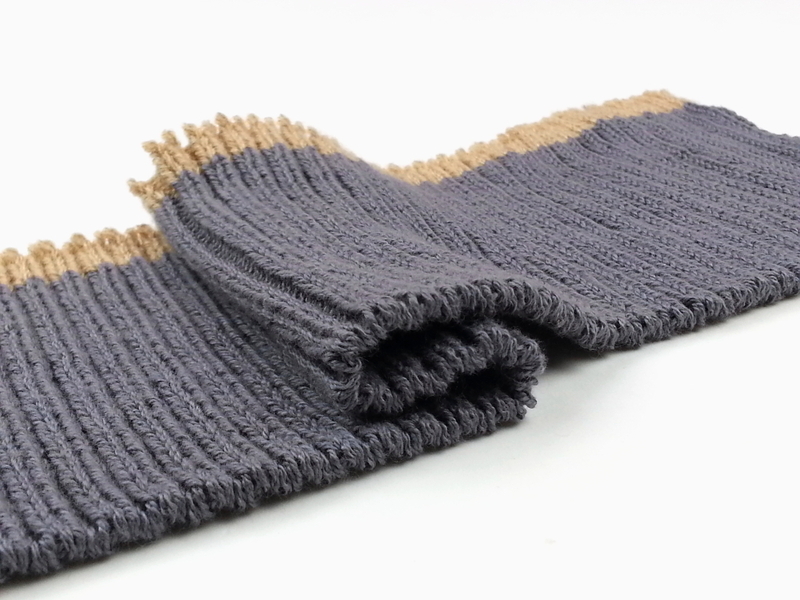 If you've visited the shop recently or read my previous post, you know that I now carry dyed cotton sweater knit fabrics with matching rib bands (sold out). And I still have available a wonderfully, soft 2x2 100% cotton rib fabric. What’s different, and I think pretty cool, about rib bands is that one edge is finished. This means you don’t have to fold it before attaching it to the sweater. There are a few reasons why you may want to use a rib band with a finished edge rather than making your own trim. If you’re working with a medium to heavyweight sweater knit, folded fabric trim constructed from yardage could add unwanted bulk around the neck, cuffs, or hem. True a finished edge rib band limits the possible width of the band; but the finished rib band has a more traditional look, is easier to use, and gives a neater finish. 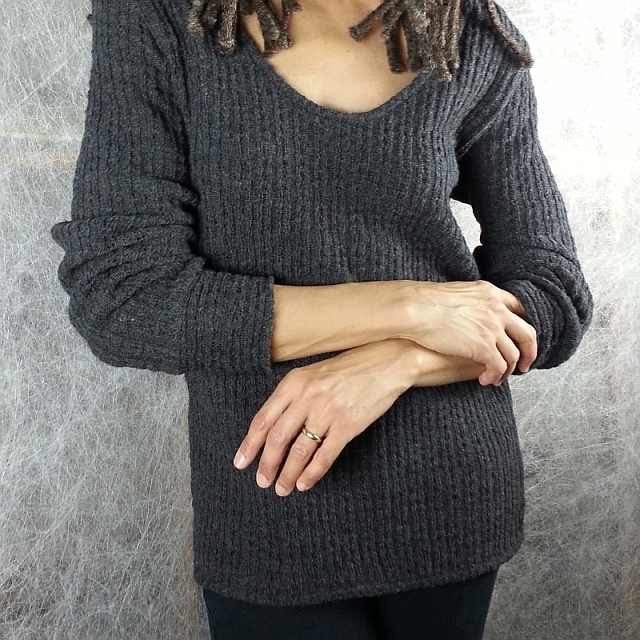 In the video below compiled from last Saturday's Instagram Stories #OnSaturdaysWeSewSweaters, I demonstrate how to attach a finished edge rib band to a sweater neckline. 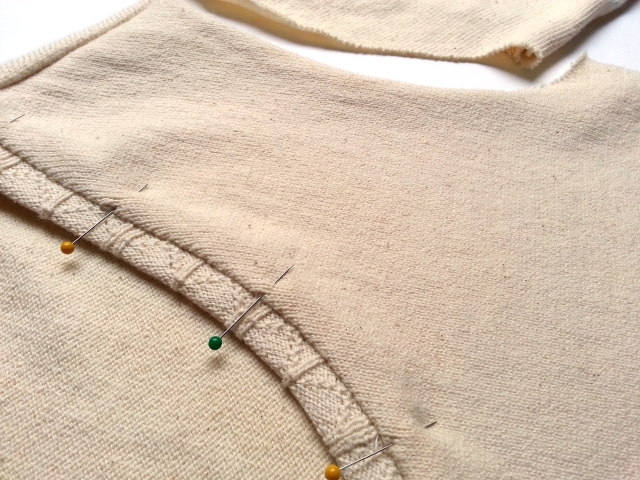 I'm using a combined front/back pattern piece without seam allowances in the demo. Ginger Makes A Summer Linden Sweatshirt -- Sonja used O! Jolly! sweater knit and rib yardage. In her “Fun Fact”, she tells of her rib sewing error and explains how she fixed it. My upcoming online course How to Cut and Sew a Sweater will provide detailed instruction for sewing rib bands and all the other important sweater sewing details. With clear videos and downloadable guides! Sign up to learn when enrollment opens. What a great idea, using the opposite side of the fabric as a neckband! You’re a clever lady!